Typically, traders evaluate how high or low certain market indicators are by comparing them to both historical values and relative market values. Our Peer Analysis page allows you to do both at the same time -- comparing large groups of products against each other, while allowing you to select historical benchmarks to measure against. Using a selected peer group of stocks, this chart takes their most recent 30-day implied volatility levels and compares it to a baseline historical value. The baseline historical values include the previous closing implied volatility, the 52-week average implied vol, the 52-week high implied vol, the 52-week low implied vol, the 52-week historical stock vol, or the 20-day historical stock vol. This is a Preview. Please Login or Subscribe for more. 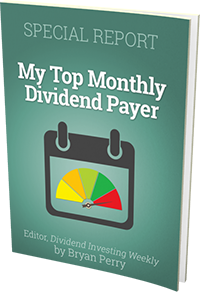 The stocks in green have above average dividend yield and below average volatility risk within the comparison. The chart compares dividend yields and volaitlity for a group stocks. The risk metrics include current 30-day implied volatility, 52-week historical stock vol, 20-day historical stock vol, or a comparison to market cap. Select a peer group of Closed End Funds (CEFs), either by category or subcategory, and compare their latest premium or discount value to a set of baseline metrics. The baseline metrics include the average premium/discount over the last 52 weeks, the 20-day average premium/discount, the 52-week low premium/discount and the 52-week high premium/discount. A visual representation of a peer group and how their options performed relative to each other. The ATM Straddle 1-Day return shows the percentage value return of an at-the-money option straddle compared to the stock price percentage return. The 25-Delta Put shows the return of an out-of-the-money put option versus the return of the stock price. The 25-Delta Call shows the return of an out-of-the-money call option versus the return of the stock price. ATM IV Chg shows the percentage change in at-the-money implied volatility for an expiration against the percentage return of the stock price from the previous day's close. Graph plots at-the-money option straddle premiums for a selected group of stocks to make a relative comparison. ATM straddle premiums are calculated using the market implied volatility and converting to a theoretical atm dollar premium (this is done because the market doesn't always have options at exactly the current stock price). The X axis is the straddle premium in terms of dollars ($) and Y axis is the straddle premium in terms of % of spot price ($ straddle premium/stock price).